The International Day for the Elimination of Violence Against Women will take place on Sunday 24 November and the Oceania Football Confederation has linked with the New Caledonia Government to raise awareness of this important issue. OFC has run a #ENDviolence awareness campaign during its competitions since 2016 and the campaign to help put an end to gender-based violence in the Pacific continues at the OFC Women’s Nations Cup currently underway in New Caledonia and featuring eight Pacific Islands nations; the hosts New Caledonia, New Zealand, Tahiti, Samoa, Cook Islands, Fiji, Tonga and Papua New Guinea. Sport is both a practical and powerful method of disseminating messages and OFC has called on the eight teams to become ambassadors for this campaign which aims to develop respect, understanding and tolerance in regards to gender-based violence. The statistics around the physical, emotional and monetary costs of abuse against women and girls in the Pacific region are dismaying. Within the Pacific region, around 80 per cent of children have experienced some form of direct violence or abuse. In addition, evidence shows that 57 per cent of women in the South Pacific have been violently harmed by their partner, and that a girl who witnesses the abuse of her mother is more likely to become a victim of violence herself when she grows up. In an area of the world where access to information is restricted by poor internet, television and radio penetration, the #ENDviolence campaign seeks to create awareness via sporting champions who will speak up against violence and support broader community awareness towards women and children throughout the region. Through the OFC Just Play Programme, led by Johana Tein in the nation’s northern province, the teams participating in Group A – New Caledonia, Samoa, Papua New Guinea and Tahiti – will engage with children in the local community in support of the International Day for the Elimination of Violence against Women, while also sharing the programmes key social messages around healthy lifestyles. The OFC would like to express its admiration to each of these sporting champions who have spoken up against violence and who will continue to advocate to #ENDviolence. 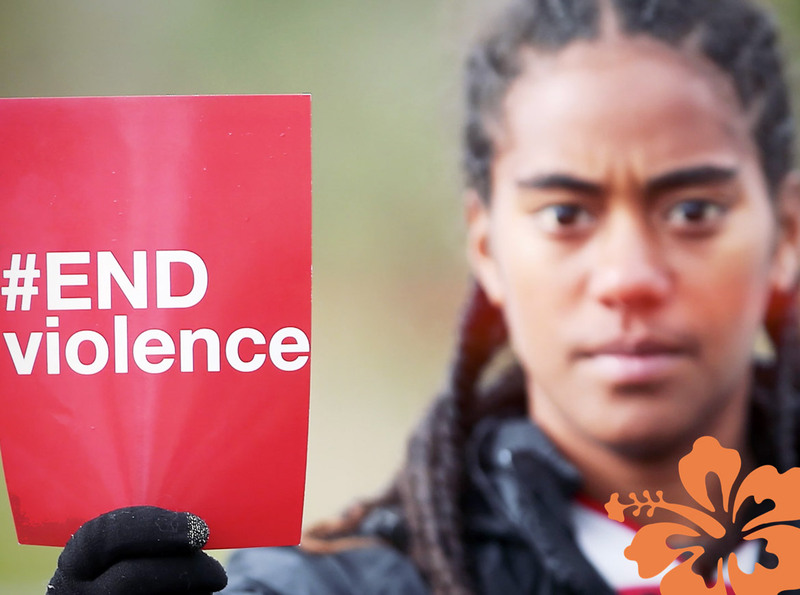 The symbol for the #ENDviolence campaign is the red card, while the local campaign in New Caledonia features an orange hibiscus. Both will feature in the upcoming days ahead of Sunday 24thNovember’s International Day for the Elimination of Violence against Women, or la Journée Internationale pour l’élimination des violences à l’égard des femmes.